Making a great Bloody Mary can be frustratingly hard to get right. Our troubles resulted in the magnificent creation of something truly special – Big Tom – a powerful blend of spices to make the ultimate Bloody Mary Mix. Add a dash of vodka and we’ve done the hard work for you! 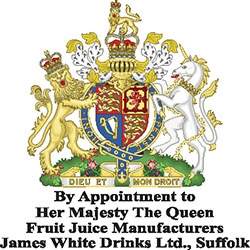 We're proud to hold a Royal Warrant, granted from Her Majesty the Queen in 2002. Royal Warrants are a mark of recognition to people or companies who have regularly supplied goods or services to certain members of the Royal Family for at least five years – we have now held ours for more than ten! Warrants are usually granted for a period of five years, and holders are permitted to show the Royal Arms on their stationery, buildings, vehicles, advertising and packaging. There are currently some 800 warrant holders in the UK and we're proud to be one of them. Simply looking for a delicious tomato drink? Big Tom doesn't just make the perfect Bloody Mary – it's also scrumptious on its own. Crammed full of 22 herbs and spices, Big Tom makes a wonderfully refreshing twist on a tomato juice.